Tired of trying all those fad diets? Are you feeling like nothing is working? Come to this week's FREE dinner presentation (includes free meal & informational health presentation) and learn how to change your health for the better. 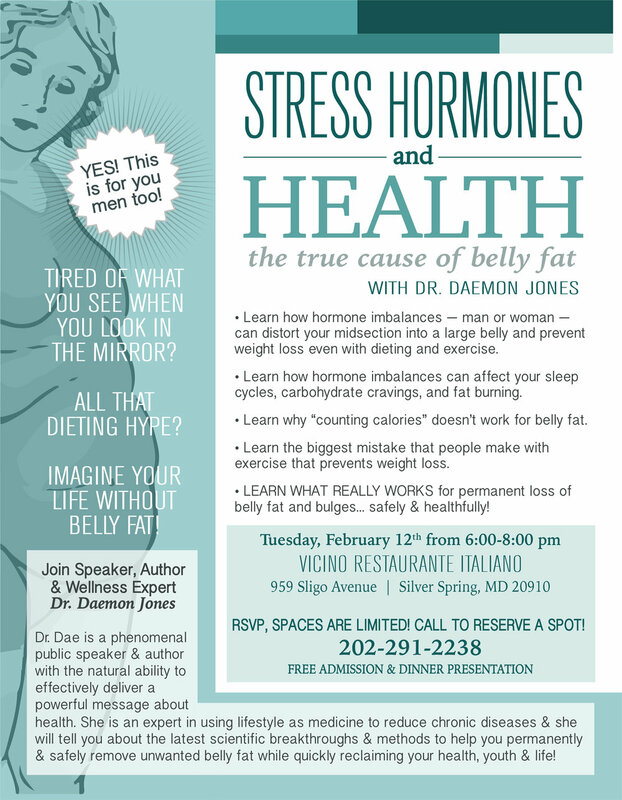 Join us Tuesday, February 12th at Vicino Restaurante Italiano, 959 Sligo Ave, Silver Spring, MD 20910 at 6:00 pm, sharp. Free public parking is available behind the restaurant.